Looking for cheap accommodation in Mikkeli? 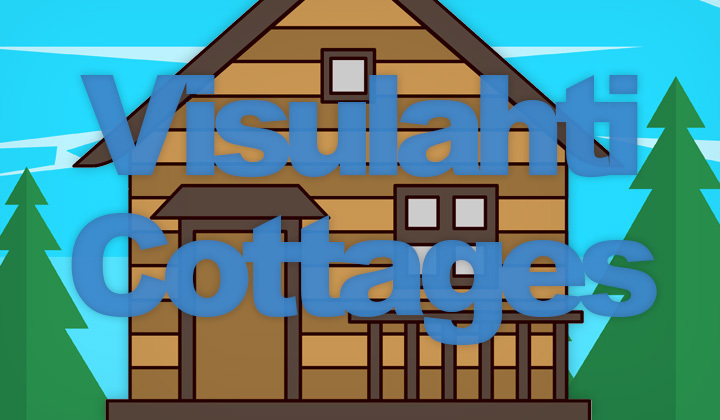 Why not stay at a comfy wooden cabin right next to a beautiful lake at the Visulahti waterpark and amusement resort (optional for those with kids). This is my experience of Visulahti Camping Cottages. Instead of saving your pennies at a low-cost hotel or hostel, having your own minimal but functional and clean wooden cabin could be a better choice. The Visulahti amusement park, is located 10minutes by bus or car from Mikkeli center. And besides the amusements, it has a separate camping area which rents out these so called “Camping Cabins” which are surprisingly good. Right next to them, there is a beach. And a Sauna that you can use for free in the mornings. And as the Finns love their sausages in the summer, there are shared grilling spots scattered around the site, with free wood provided. Also there’s lots to do if you’re not interested in paying the €25 wristband fee for access to all the amusements, play mini-golf, table tennis, swimming, etc. If you forgot to bring your own sausages from the Mikkeli supermarket, you can eat at one of the Visulahti restaurants, or even better, walk to the nearby gas station for a culture-packed Finnish countryside dining experience. Note that bed linen is provided for a €12/person rental fee and not included in price. You’ll get the casual question, “did you bring your bedclothes?” upon check-in, courtesy advised..! However, if that’s not the sort of thing you are carrying around.. you could grab your sheets second hand from one of the many local “kirpputori” or flee markets located at the Mikkeli city center for a few euros. Usually people go there by car and there are not that many buses during the day. However, you can easily plan a day trip to Mikkeli for example and the bus stop is nearby. Also, you have cheap and convenient access to Savonlinna directly from the “Visulahti” bus stop with the Savonlinja coach. Suomeksi; Tässä informaatiota “Visulahti Leirintämökit” yöpymismahdollisuudesta, hyvä ja halpa vaihtoehto hotellille Mikkelissä. Tässä on toivottavasti hyödyllistä informaatiota Englanniksi. Toivotan hauskaa vierailua Mikkelissä! Hope that helps to find budget accommodation in Mikkeli, and a good cheap alternative to hotels in the region. Questions welcome below! For your interest, please note that some of these reviews and hotel accommodation posts are meant for mutual benefit through the form of affiliate links. Any such interaction is completely voluntary and you have my biggest thanks! Great you could stop by my site, David.